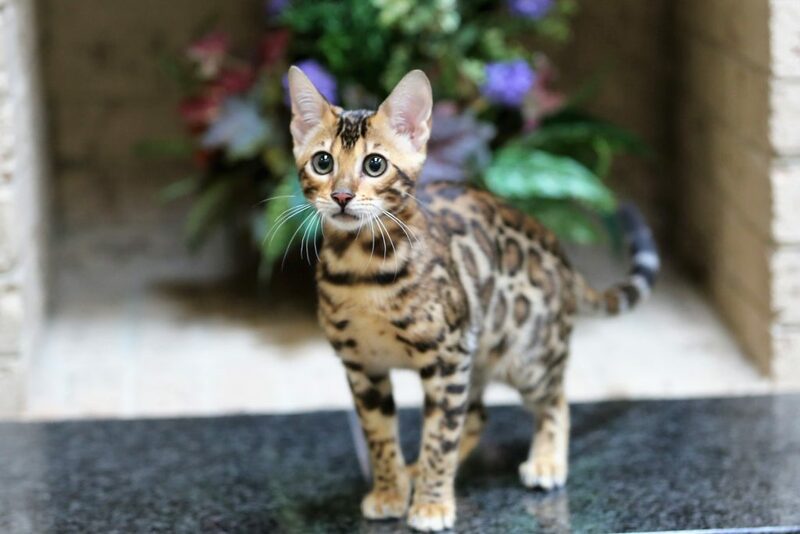 “Element” was bred by Anthony Hutcherson and we are delighted to welcome him to Brilliantbengal. 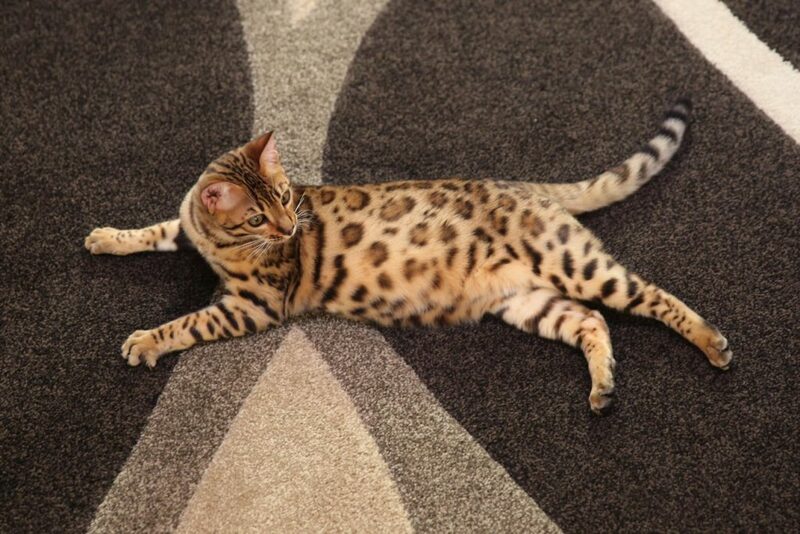 He earned his TICA Champion Title in his first adult show, and is currently a Grand Champion. Judges favor his unusually plush coat and robust structure, and we adore his subtle glitter, rosettes, and spotted feet. He exhibits the friendly and easygoing temperament that we strive to promote at Brilliantbengal. “Ember” is a flashy glittered girl with gorgeous rosettes, big eyes, a nice profile, and spotted feet. She loves children, high perches and “helping” us load the dishwasher. She adores gentle children and produces lovely pets. She comes from Painted Cats and Destiny lines. Anne is our up and coming queen out of Carolinabengals Glowing Ember and Jungletrax Knightfall. 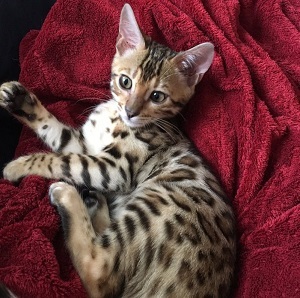 She is named after our mentor and the breeder of her father. Anne is not of breeding age and will be shown prior to breeding. Her 4-gen pedigree includes Silverstorm, Jungletrax, Painted, and Destiny lines.